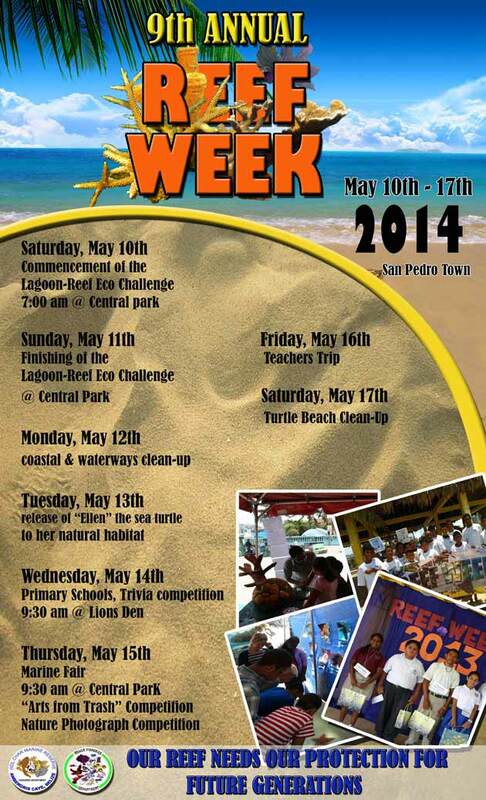 Events for Reef Week will kick off with the two-day Lagoon- Reef Eco Challenge scheduled for May 10th and 11th. The challenge itself highlights the importance of the island’s eco-system to the marine environment. Activities continue on Monday May 12th with a coastal and waterways cleanup campaign in the town core beach. Archer said that several stakeholders such as schools, tour operators and guides as well as the San Pedro Town Council have been invited to join in this event. On Tuesday May 13th, Hol Chan Marine Reserve officials will release Ellen, the stranded sea turtle that was brought from Placencia. On Wednesday May 14th, primary school students from Caye Caulker and San Pedro Town will participate in the annual Reef Week Trivia Competition. Schools from both islands have been invited to submit the names of two students for the competition. The competition will test the participants’ knowledge about the reef. Activities will then continue on Thursday May 15th with the annual Marine Fair starting at 9:30 AM at the San Pedro Central Park. 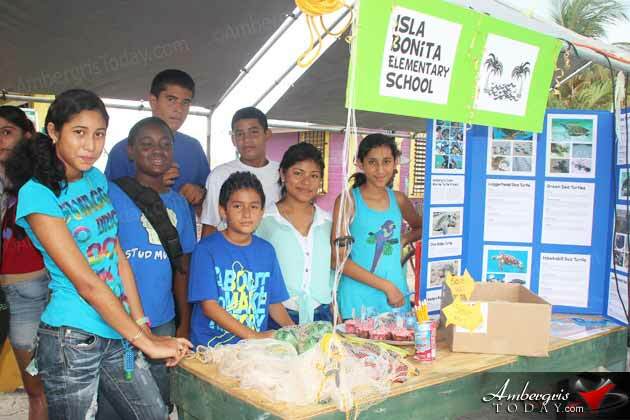 The main highlight of the Marine Fair is the “Art from Trash” and Nature Photograph competitions with the participation of students from San Pedro Town and Caye Caulker Village. In addition, several organizations have been invited to set up educational booths to target the local populace about the work they do to help protect the reef and the environment. On Friday May 16th, Hol Chan Marine Reserve will be taking a few teachers for a trip to Bacalar Chico Marine Reserve to coincide with Teacher’s Day celebration. Activities will culminate on Saturday May 17th with a second cleanup exercise, this time, along the turtle nesting beach in the Robbles Area and Bacalar Chico Marine Reserve beach. Reef Week activities commemorating our coral reef natural heritage commence this week. The theme is "Our Reef Needs Our Protection for Future Generations". Below is the schedule…..
Hol Chan Marine Reserve held its annual Reef Week from May 10 – 17, 2014 under the theme "Our Reef Needs Our Protection for Future Generations". 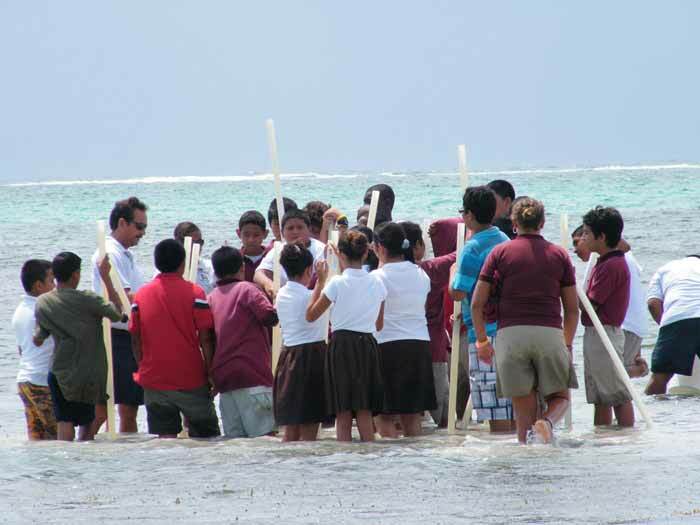 Reef Week kicked off on Saturday, May 10, 2014, with the Lagoon Reef Eco Challenge where Team Coco Beach took first place. Other activities included the release of “Ellen” and “Lucky” the loggerhead turtles, trivia completion and marine fair. Various displays were prepared emphasizing the environmental, social and economic importance of our marine reserve network. Highlighted were the northern marine Reserves of Bacalar Chico, Hol Chan and Caye Caulker. Almost 200 school children walked through the informative displays and participated in the educational games. On display was art from trash and posters information booths made by students about mangrove and reef conservation.